The 2014 Dodge Challenger brings all the attitude and performance expected of a modern incarnation of the golden-age muscle car. More than its competitors, the Ford Mustang and Chevrolet Camaro, it presents an almost eerily-close newer version of the rampaging Challenger of 40 years ago, with a legendary Hemi V8 engine available as a big plus. My thoughts about my Dodge challenger srt. As far as performance, I am satisfied with my vehicle. however, since purchasing, I have had minor issues that were luckily covered under warranty. It is reliable, comfortable and has luxurious features. As far as issues, the power steering went out within the first 200 miles on the vehicle. Second issue, was the front two tires blowing due to a manufacturing defect with the srt rims. Last, issue is the window tint provided by the dealership was poor quality. Dodge get up and go and look like a beauty doing it. My Dodge challenger is a beautiful bright white color. No spoiler and has only 45, 000 miles on it. I love it. This car is super on gas and when you gotta get up and go, it is the perfect car to zip in places. . . The inside is black cloth with not a scratch on anything inside. This car is an eye catcher that is for sure. Fast and stylish with great performance and almost everyone stares. Very sporty look has great speed for 6 cylinders big trunk space. It is comfortable for 3 people only problem I had with this car was battery dying out due the alarm system on car. The alarm system is very sensitive to loud noises. Overall it runs good it stylish in any form and has the look of it being old and new. 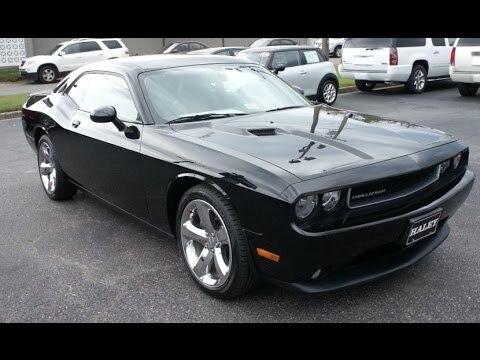 2014 Dodge Challenger In-Depth Review!